Please welcome guest Jason Sizemore! He is the son of an unemployed coal miner in a tiny Kentucky Appalachian villa named Big Creek (population 400) where fought his way out of the hills to the big city of Lexington. He attended Transylvania University (a real school with its own vampire) and received a degree in computer science. Since 2004, he has owned and operated Apex Publications. He is the editor of five anthologies, author of the short story collection Irredeemable and For Exposure: The Life and Times of a Small Press Publisher, a three-time Hugo Award loser, and an freelancer. He can be found on Twitter at @apexjason. One of the goals of the Do Not Go Quietly: Victory in Defiance anthology is to add to the tradition of speculative fiction functioning as an effective way to embrace resistance and reject tyranny. My co-editor (Lesley Conner) and I want to entertain while we inspire. We want to educate while we encourage you to stand up. It’s an important balance, but achievable. The Kickstarter to fund Do Not Go Quietly is active until September 9th. Please consider backing our ambitious project. 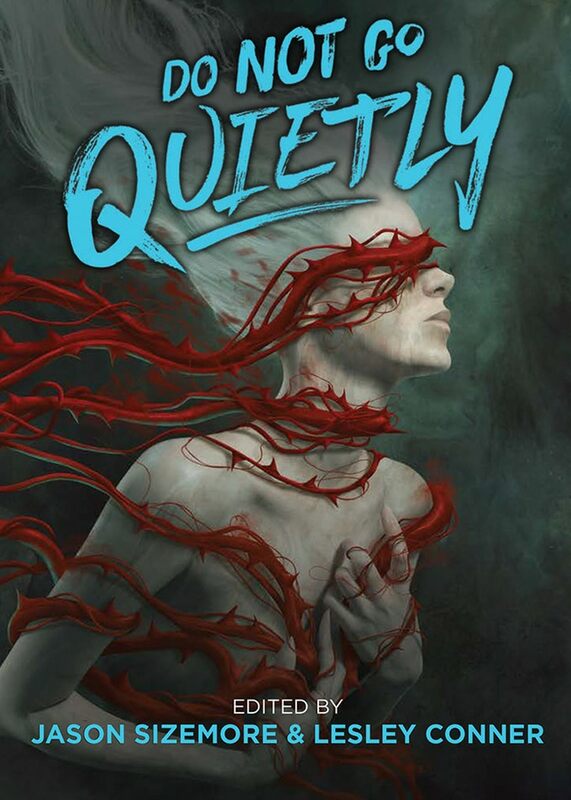 In the spirit of Do Not Go Quietly here are five stories that I feel exemplifies quality short fiction that also has something important to say. Full disclosure. I edit Apex Magazine and published Rebecca’s story. But the work has won the Hugo and Nebula Awards so I’m comfortable suggesting it. It’s a sharp critique of stolen culture and stolen identity. Author Rebecca Roanhorse’s darkly funny and chilling story will leave you reconsidering the nature of authenticity and the other. Gilman’s story is a near-perfect piece of horror fiction. It’s female protagonist falls deeper and deeper into insanity due to a gaslighting husband, an inherently misogynist medical doctor, and severe isolation. Is the protagonist really sick? What the heck happens at the end of the story? It’s all masterful composed and symbolically portrayed by the titular wallpaper that fades and cracks over time. Many will consider this an obvious example. However, I don’t believe there has been a period of time since its publication that this story hasn’t been relevant. Jackson’s story reflects the danger of inaction, of complicity when you blindly (intentionally or not) follow mob reasoning. Think about the culture that exists now. Our president leads bullying campaigns via social media mobs. But Trump isn’t the only one duplicit of such actions. It is easy to cast that first stone and unleash a pack of angry online followers. From McCarthyism to social media justice. Shirley Jackson saw it all coming. She stood up, but we have failed to heed her warning. I first read this one a few months ago in an anthology of Gothic fiction. It is set during the Salem witch trials and is a direct challenge against the New England Puritanism of the time. At least that’s how I read it (interpretations vary). Read it yourself and come to your own conclusion! Damien Angelica Walters is a writer of singular skill. She’s one of the best at drawing out heartbreak and loss I’ve encountered. In this story, she uses the bond of a father and his little girl to show the unnecessary cruelty of war. “The Last Illusion” hits me every time I see an image of a family separated I think of this story. Do Not Go Quietly is now on Kickstarter! Head over and pledge your support for this amazing collection of stories from some of the best authors in the genre!